The Jean Monnet Centre of Excellence for Studies in Transnational Europe (CESTE). 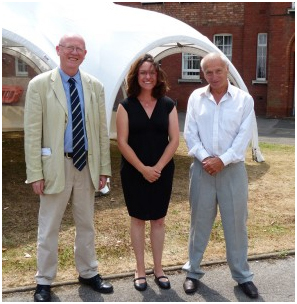 In June 2013, the University of Portsmouth was one of only 17 institutions worldwide to have been recognised as a Jean Monnet Centre of Excellence. To date there are only 170 designated Jean Monnet centres throughout the world so this is a considerable achievement for the University, building on the strength of the already existing Centre for European and International Studies Research (CEISR). This prestigious award is bestowed on institutions which are recognised as offering excellence in the research and teaching of European Union studies. Awarded by the EU, the University will receive €75,000 for research, teaching and scholarly activities in the field of European studies over a three-year period. The new centre at Portsmouth has been named the Jean Monnet Centre of Excellence for Studies in Transnational Europe (CESTE). Jean Monnet Centre status is only awarded to institutions that have already achieved a high level of research and teaching, facilitating the ongoing debate with the academic world on political cultural and economic issues of European integration, including the EU’s role in the dialogue between peoples and cultures. To be granted the award, the application had to go through a process of rigorous independent peer review. The University received very high scores, in particular an excellent academic profile score, which certainly reflects the high quality of our researchers. Our current research projects are channelled on three cross-disciplinary streams: experts and expertise in policy-making in the EU; Transnational dimensions of the EU’s external relations; Transnational negotiation of narratives and memory in the EU. The Jean Monnet Centre of Excellence recognition award was named after one of the founders of the European Union. The programme was launched in 1989 in Monnet’s memory.